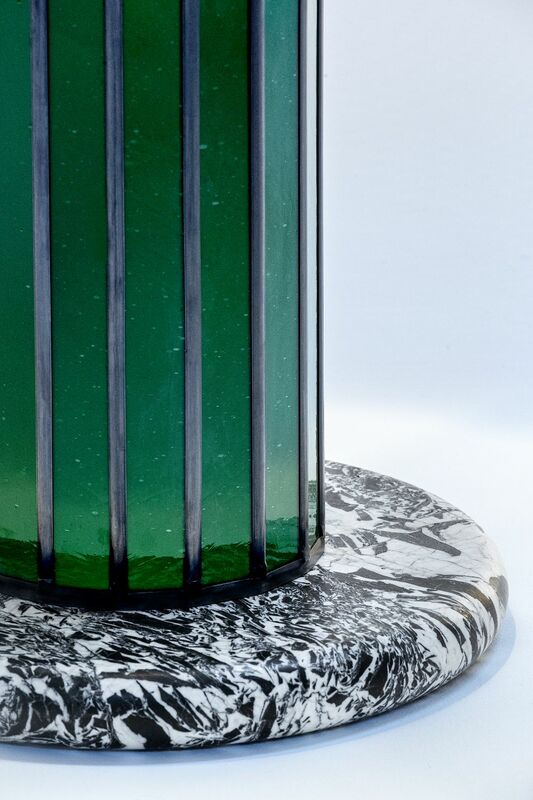 Maarten’s first encounter with full-size handmade mouth-blown glass panels was during his first studio visit to Atelier Mestdagh, one of the most renowned glass studios’ in Belgium, with whom he developed this project. He immediately fell in love with their skilled craftsmanship, and the depth of the colors, the textures, air bubbles, patterns and drawings in the multi-colored sheets. 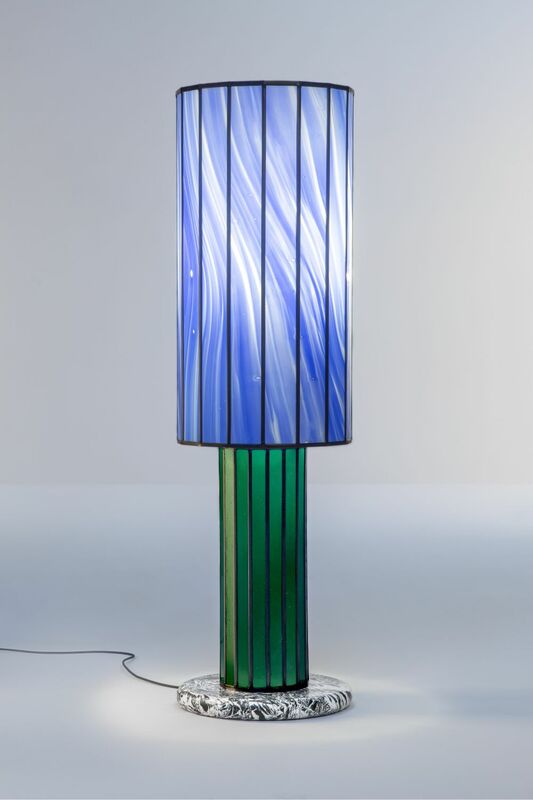 It is rare to see this type of glass in big surfaces, as stained-glass studios tend to cut it up into hundreds of small pieces to reassemble it in multicolored stained-glass windows or Tiffany-like lamps. Therefore, Maarten decided to do the opposite, by creating a project that honors this material and lets it speak for itself. A floor light, man-sized and with generous proportions, felt most suitable for this purpose, so one can fully feel the material and its presence. A recognizable yet iconic shape an object that everyone can relate to. The glass panels are used in large color blocks, and in consecutive order, to highlight the beautiful patterns, drawings and textures inherent in the glass. Traditional lead work is used to frame the glass, and an inner steel structure creates a strong support.